Trust us, we are not recreating Fifty Shades: The Content Strategy Approach! But we have discovered where grey hair comes from, that technology doesn’t have to be all nuts and bolts, and for consumers, it’s always been “A Matter of Trust.” Enjoy! 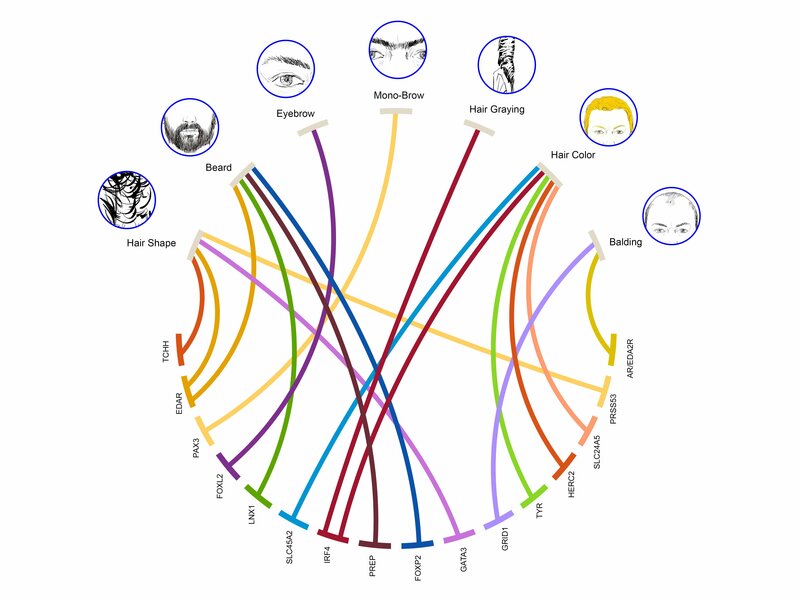 Researchers have identified 18 genes that impact hair traits, including grey hair, beard thickness, whether hair is curly or straight, and even whether or not someone will develop a unibrow. Turns out the gene that turns hair grey, IRF4, is only carried by people with European ancestry. Already there’s talk about clarifying the way in which IRF4 influences hair greying in order to create products that could slow or block the process. But beyond cosmetic implications, these discoveries will likely influence forensic medicine and crime solving. The authors note, “‘Forensic DNA phenotyping’ promises to contribute an investigative tool in cases where a biological sample is available but there is lack of other information regarding the identity of its contributor.” Fifty Shades of crime! Stay tuned! At ESG, we encourage clients to use storytelling to enhance customers’ journeys. So, it is no surprise that CNET, touted as the world’s largest and most trusted online source for consumer technology news and reviews, is expanding its current coverage format and entering the world of storytelling. Its new monthly series, Technically Literate, features illustrated short stories about technology and how it shapes our daily lives. While CNET boasts more than 300 million viewers, it is looking to draw in new audiences with storytelling. “Technology is central to intellectual lives in the 21st century,” said Lindsey Turrentine, Editor-in-Chief, CNET.com. “We look forward to discovering how authors address the wonders and challenges inherent in technology’s tremendous change rate.” Technically Literate debuts with works from four critically acclaimed authors. We look forward to learning if and how storytelling expands CNET’s customer base. Billy Joel isn’t the only one singing about trust these days. Trust matters to consumers and can impact your bottom line, as seen in the diagram below. Consumers more often choose to purchase products and recommend them to friends and family if the company providing them is trusted. The inverse is true for companies consumers don’t trust, including sharing negative opinions online, where consumers search for most of their information. In our full report this week, New Consumer ‘Trustability’ Wins the Day, we take a good, hard look at how trust has evolved in the fast-paced digital world.